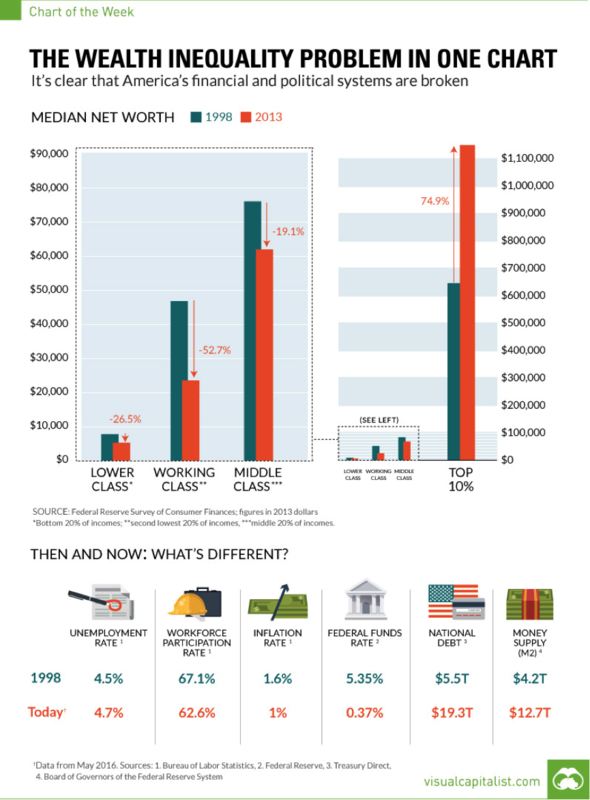 The US wealth equality problem – in one chart! /wp-content/uploads/2018/03/logo.png 0 0 Stockradar /wp-content/uploads/2018/03/logo.png Stockradar2016-06-21 11:18:112016-06-21 11:18:11The US wealth equality problem - in one chart! What has the US stock market really achieved this century? 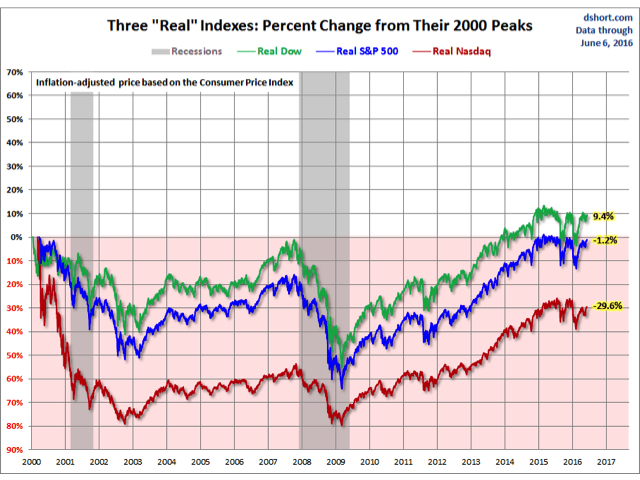 Real (inflation-adjusted) charts of the S&P 500, Dow 30, and Nasdaq Composite. 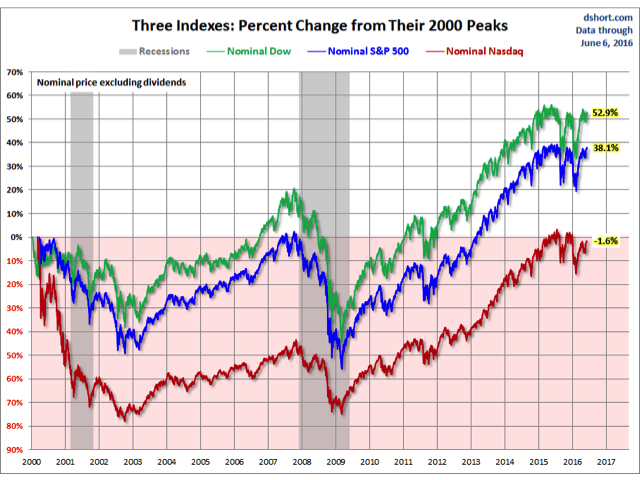 Here two overlays — one with the nominal price, excluding dividends, and the other with the price adjusted for inflation based on the Consumer Price Index. The charts above are based on price only. But what about dividends? Would the inclusion of dividends make a significant difference? 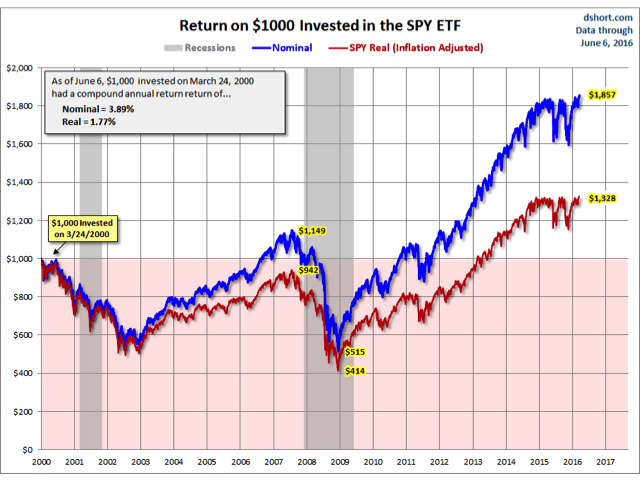 Let’s take a look at the return on $1,000 invested in the SPY ETF at its March 2000 peak. The total return certainly looks better, but the real (inflation-adjusted) purchasing power of that $1,000 is currently only 316 dollars above break-even, a real compounded annual return of 1.71%. 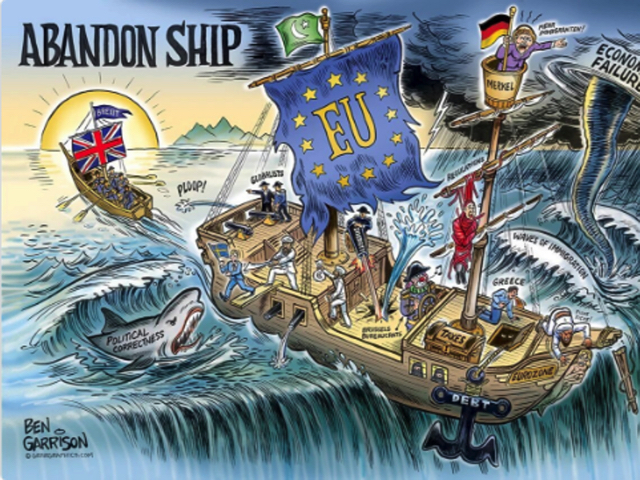 /wp-content/uploads/2018/03/logo.png 0 0 Stockradar /wp-content/uploads/2018/03/logo.png Stockradar2016-06-08 01:19:032016-06-08 01:19:03What has the US stock market really achieved this century?